Start Your Young Living Journey! You’ve taken the next step towards your future. By this point, you’ve likely already thought about improving your health, but what if you can also enjoy the freedom of owning your own business? Is a earthy lifestyle important to me? Do I like to help other people? Am I free of debt? Am I earning what I am worth? Am I putting 20-30% of my income into investments? Am I really excited about my career? Eliminate Debt – 80% of those filing bankruptcy could have avoided it with an additional $200-$300 per month. A side business can supplement your paycheck. Boost Your Retirement Savings – 95% of retirement-aged Americans cannot afford to maintain the lifestyle they had while working. Save for a Rainy Day – The average American. Saves only 1% of what they earn, and half of Americans under 50 years of age have less than $10,000 in savings. Enjoy Tax Benefits – Business income is taxed differently than “employee” income. A home-based business allows you to take thousands of dollars in legal deductions. Spend more time with your family, be a stay-at-home parent, have more freedom to what you want. Essential Rewards is super important for growing your business. Why? Your personal testimonies, your stories of how you’ve used the products is ultimately what ‘sells’ the product to your friends. Think about a favorite movie or a favorite restaurant of yours – you’ve likely told someone else, or maybe many people about how you loved seeing that movie or eating that delicious food at your favorite restaurant – same idea goes for your favorite Young Living products, except that you will actually get a ‘thank-you’ check from Young Living for referring others to the company. How cool is that? When you try new products each month, and find the ones you wonder how you ever lived without, it’s easy to become a ‘product of the product’. Others will begin to see your transformation, and they (perhaps with some encouragement) will want to get in on what you’re doing, too! 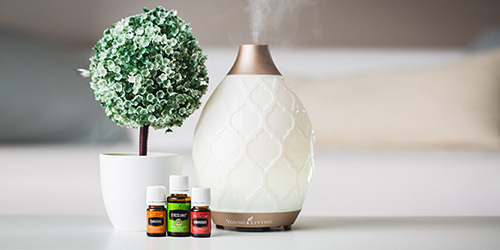 If you’re not yet set up with Essential Rewards (ER), go into youngliving.com and click on Essential Rewards to put together your first ER order! If you’ve ever thought about opening your own business, you may have realized the crazy expense that goes into doing it. Fortunately with a Young Living business, the starter kit is ALL YOU NEED to start your business! We simply share the products we love, teach others how to use them, and teach them how to do the same. 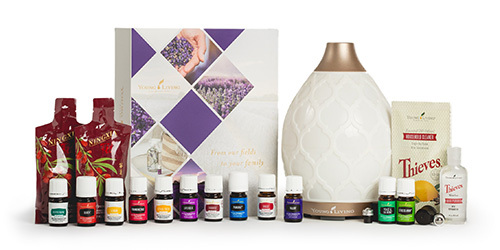 If you have friends wanting to get their own starter kits, all they will need from you in your Young Living member ID # – they can go to youngliving.com, click on Become a Member, and will want to put your member # in the Sponsor and Enroller boxes to be connected with you, which will also get them connected with our Team! When you have a new member sign up with a Premium Starter Kit, you will receive $25 + 25% commission based on the PV amount of their order. Premium Starter Kits are worth 100pv, so if you do the math, you’ll receive $25 + 25% of 100, which equals $50! It is important to remember that in order to receive that ‘thank-you’ check, you’ll need to place an order of at least 50pv within the same calendar month as when your new member(s) sign up. When you have members ordering after they’ve been a member of YL for 3 months, the requirement to receive your check is to place a 100pv order within the calendar month – that requirement does not change going forward. Checks are mailed (unless direct deposit is set up in your account) around the 20th day of the following month. It’s a happy day to receive that check because that’s a reward that you’ve helped others find a healthier lifestyle! As you begin to grow your Team, you’ll want to know what kind of structure you’re aiming for working towards new ranks. Young Living has created a great foundation plan for building your organization to reach the top rank of Royal Crown Diamond with the Rising Star Bonus – lots of bonuses are available to you! Every new wholesale member begins at the Distributor rank. Some members hit the rank of Star with their own orders, or it is from the combined effort of their own order plus orders of others who have signed up under them. Star and Senior Star ranks are determined solely from the OGV, or Overall Group Volume of orders in your organization. To achieve the rank of Executive, you’ll want to have two ‘legs’ that have 1000ogv in each of them, with an OGV of 4000 for your entire organization. When you first start out with your business, it may feel like it is a long way to where you want to end up. The cool thing about this business is that you have the potential to make as much as you want – you have the potential to manage money in ways you may not have thought was possible. If you have debt, imagine getting out of that FASTER. Imagine having a savings account set up for your kids or grandkids that you can feed into without having to pinch your own pennies. Imagine changing a whole community. The sky is the limit, and YOU have the opportunity to find financial freedom through sharing life-changing products! There is literally no restrictions to how much money you can make – nor are there restrictions on how many lives you can change! Visit youngliving.com/ids for the full income disclosure statement. What are your goals? I want to encourage you to sit down and write out your goals: big and small – and BIG. Think BIG. Writing your goals down is the first step to achieving them. From there, attacking your plan of action. Don’t have a plan of action yet? That’s okay. I didn’t really either when I got started. I went into it thinking that everyone could benefit from what Young Living has to offer, and so I talked to everyone who would listen, and I continue to do so. Social media is a wonderful *FREE* way to get the word out, too! Snapping a pic and posting it with your story has the potential for some interests. There’s no sales pitch, no real script that you have to go by – just be yourself, share your story, and if you get a question from someone and you don’t know the answer yet, reach out to your support team – we are here for you! Q: I LOVE MY YOUNG LIVING KIT and I want to get more products, but my budget is tight… what do I do? 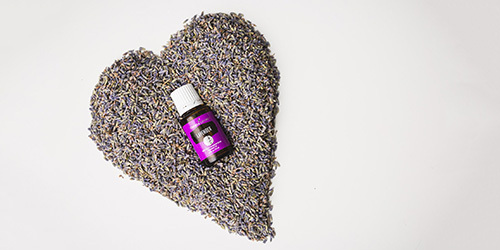 A: Share WHY you love your kit with your friends and family, whether in-person, or post about it on social media with a picture and your story – find those who are interested, and follow up with them..
Q: I have been posting about Young Living on my social media sites, but it doesn’t seem to be attracting anybody… what do I do? Q: I’m afraid of sounding “salesy” – well, I think it’s safe to say that every leader in Young Living doesn’t consider themselves as a salesperson. It’s not about the sales!! The Young Living business is about BUILDING RELATIONSHIPS. You have two ears and one mouth – listen more, hear the needs of your people, and help them to find a solution. Q: I really want to grow a business with Young Living, but I have no clue where to start. What do I do?A: Keep it simple. Talk with your upline about a plan of action, but that fastest way to begin is by sharing on social media and with the people around you. Be you. Be your authentic self in your posts. Always remember that our Young Living business is a relationship-based business, which means that this business is all about sharing and educating and loving others. Share about things that work for you – your audience wants to know what you’ve found, because they want to try it, too. You just have to help them get it–through you! Let’s get out there and start sharing! We’re here to help you along the way, so there’s no need to feel overwhelmed… no need to have paralysis by analysis 😉 Be sure to Join our Team group on Facebook to grab tips and training for growing your business. Check out the other business classes in this section of the website for more information! Click on the graphic above to see the official Young Living Income Disclosure Statement.